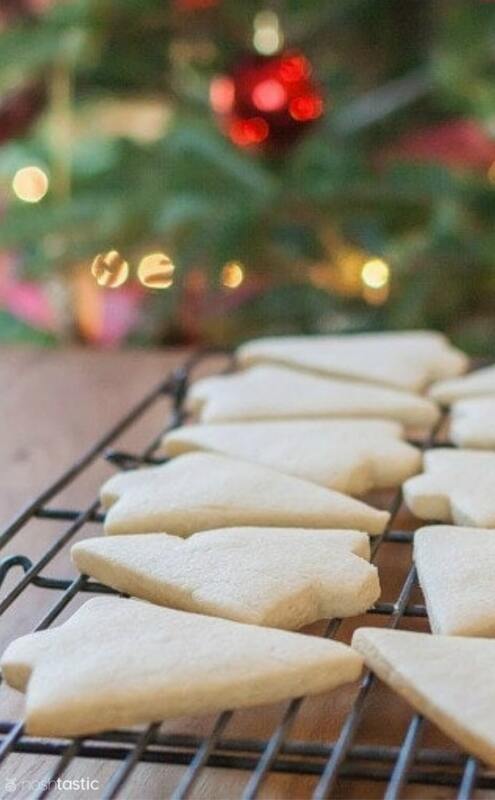 Gluten Free Cut Out Cookies That Hold Their Shape! The secret to making really great gluten free cut out cookies is using a recipe that will hold its shape when baked and not spread out. 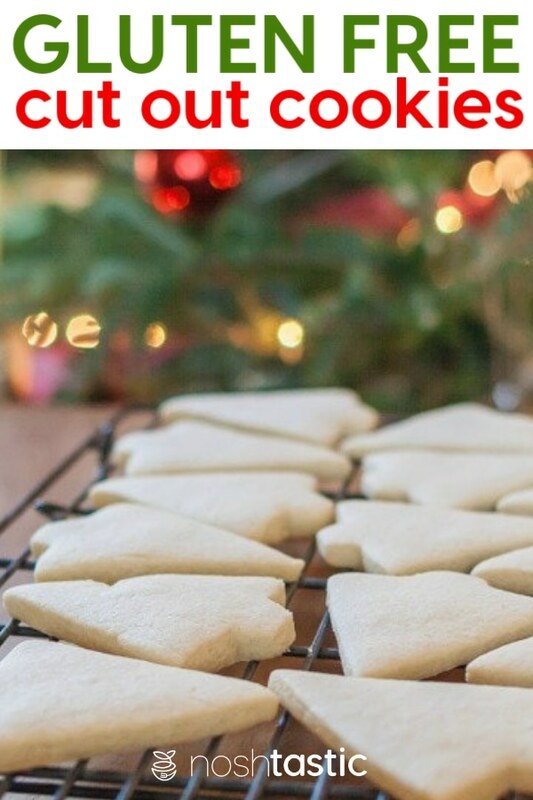 Fortunately I was a cookie decorator full time before I started this website and I created this gluten free cut out cookie recipe to do exactly that! If you follow the tips and directions outlined in the recipe you won’t go wrong. REFRIGERATE – If you use soft butter, or dairy free margarine like I did, then you may need to refrigerate your dough for at least 30 minutes to firm up. DAIRY FREE OPTION – I use Earth Balance margarine to make my gluten free cut out cookie dairy free and it’s perfect! It is much softer than butter so as mentioned above I will chill the dough before rolling it out. XANTHAN GUM – if your gluten free flour blend does not contain gums of any kind you’ll need to add xanthan gum as directed in the recipe. NO FLOURED SURFACE – I roll the cookies out on parchment and then transfer them to a parchment lined baking sheet. Adding flour to roll them out will skew the flour ratio in the recipe. WEIGH INGREDIENTS – For best results use a kitchen scale and weigh your ingredients. I have included cup measures for those of you who don’t have a scale, but cups of gluten free flour can vary in weight due to different flours so the results may vary. Meringue powder I prefer to use either Wilton or Ateco meringue powder. Don’t wait until too near to Christmas to buy it as almost every year I’ve had to go round all the stores in town looking for meringue powder but they often sell out. Americolor Food Coloring – This is the best food coloring out there, so much better than the gel type! The colors are vibrant and the selection is the best you’ll find. No:2 Tips – If you only buy one size of decorating tip, the Wilton No:2 Tip would be a good size to get. Decorating Bags – These disposable decorating bags by Wilton are what you’ll need. I prefer to use re-usable bags and wash them, but if you don’t decorate cookies very often the others may be a better bet. Decorating Tip Set – if you want to splurge and get a whole set of tips, this is a nice one to start with. Coupler Set – you’ll need one coupler set for every decorating bag you use. Icing Bag Ties – you need these to tie the bags tightly at the top. Cookie Cutters – I have SO many cookie cutters, including this bucket of 101 cookie cutters which covers most of the holidays! Toothpicks – they are awesome for popping bubbles in wet icing and helping to push icing around on the cookie surface. I make my royal icing with meringue powder and powdered sugar and I use a foolproof method to make it which is outlined in some detail in this royal icing recipe post. You can make the royal icing ahead of time if you need to, it will keep in an airtight container for a couple of weeks until it’s time to use it. COOKIE CUTTERS – I have this set of 101 cookies, it’s great! PARCHMENT SHEETS – these ready cut sheets save so much time for batch baking. GLUTEN FREE FLOUR – I prefer to make my own gluten free flour blend, but choose a high quality blend if you buy from the store. XANTHAN GUM – you’ll need this if your flour blend does not have it. 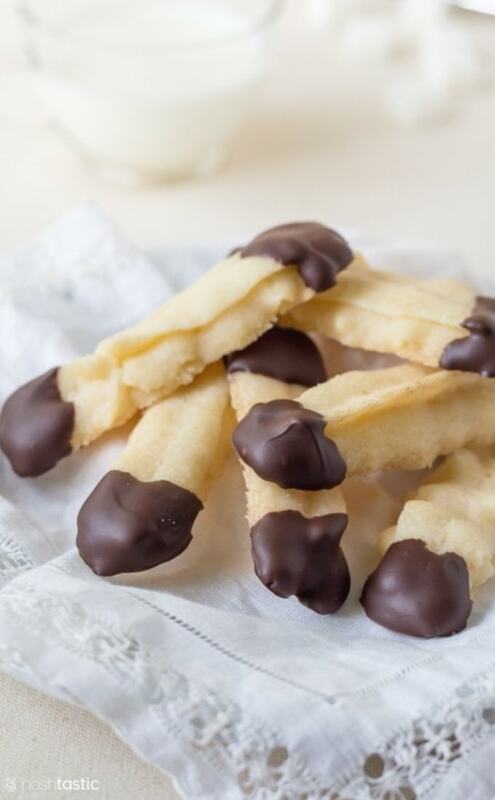 Gluten free shortbread cookies are the easiest cookie in the world to make, and they really are melt in your mouth tender with a delicious buttery taste. 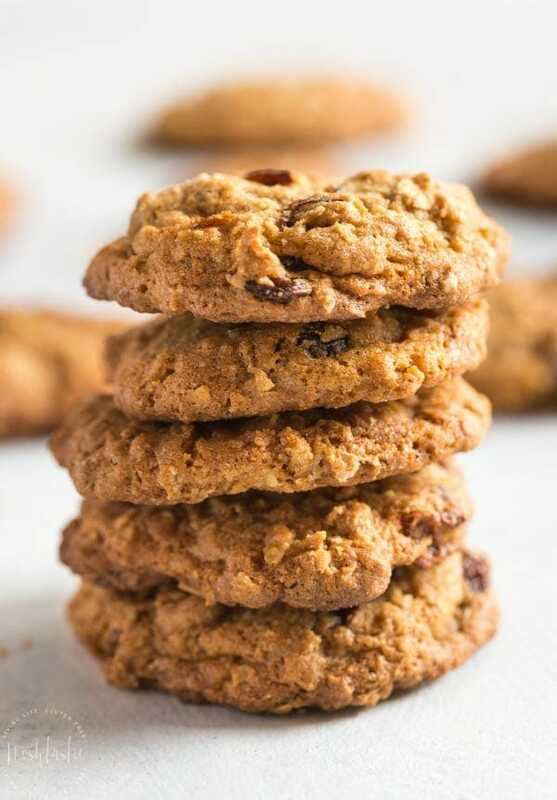 Gluten Free Oatmeal Raisin cookies that are full of chewy, healthy, oaty goodness, just like your Grandma used to make! We’ve tweaked and tested this recipe to make sure that you’ll love them. 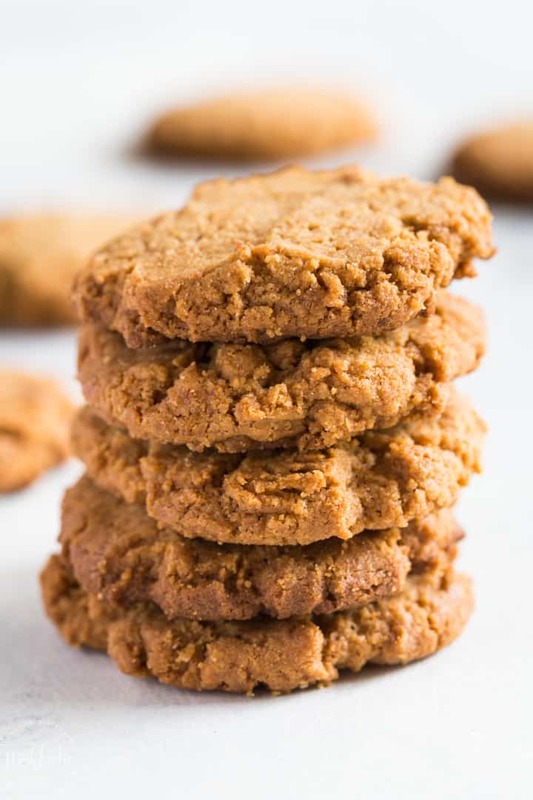 Crunchy Gluten Free Peanut Butter Cookies that are really easy to make at home. If you are new to gluten free baking and you’re a huge peanut butter fan then this recipe is for you! Gluten Free White Chocolate Chip Cookies with Peppermint! 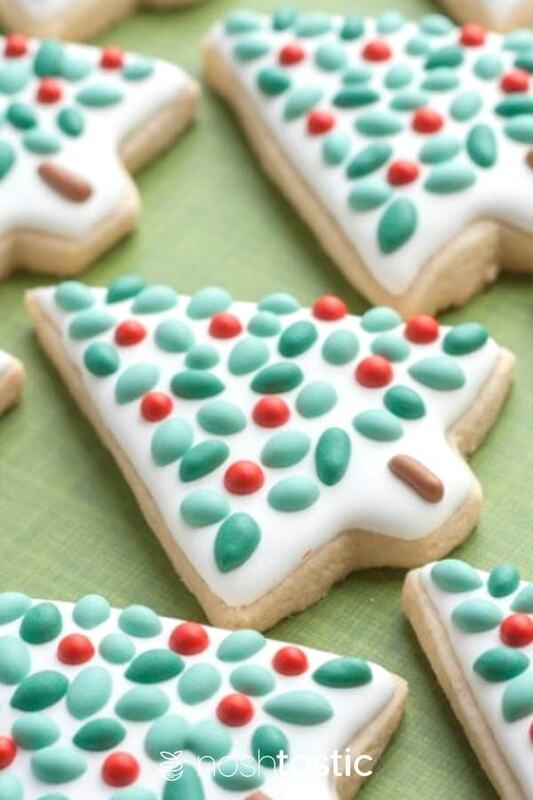 this is such a fun Christmas holiday cookie and really easy to make with your children. 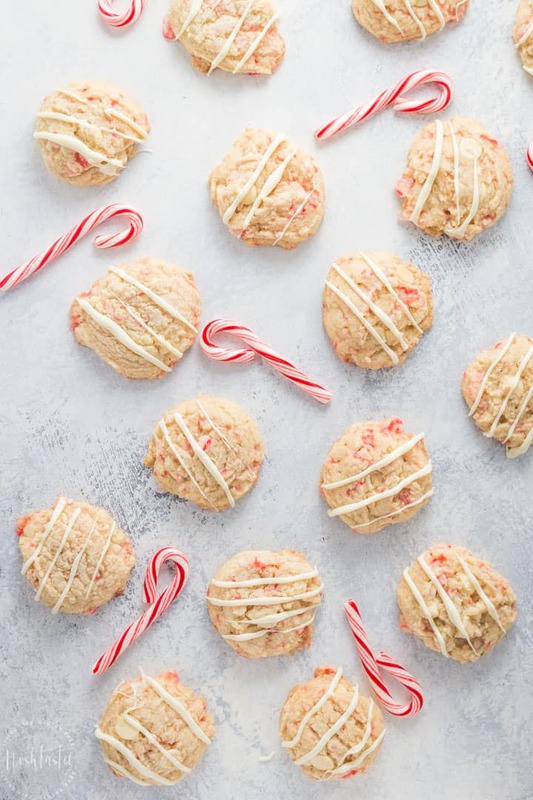 It has a lovely soft gluten free cookie with white chocolate chips and crushed candy cane pieces which bake up nice and chewy! 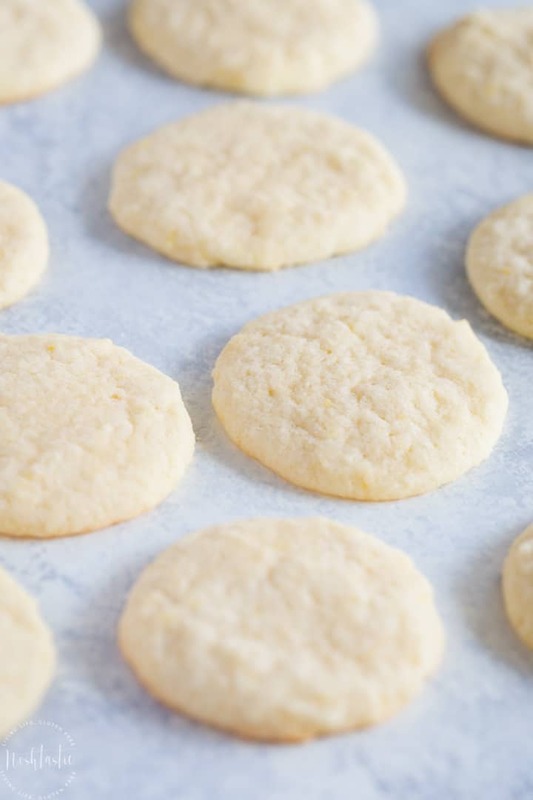 This is a really quick and easy gluten free lemon cookies recipe that will please everyone! My gluten free lemon cookies are really , soft, chewy, and sooo yummy. You can easily leave these cookies as they are and eat them straight out of the oven, or you can make a simple lemon glaze and drizzle that over the top. 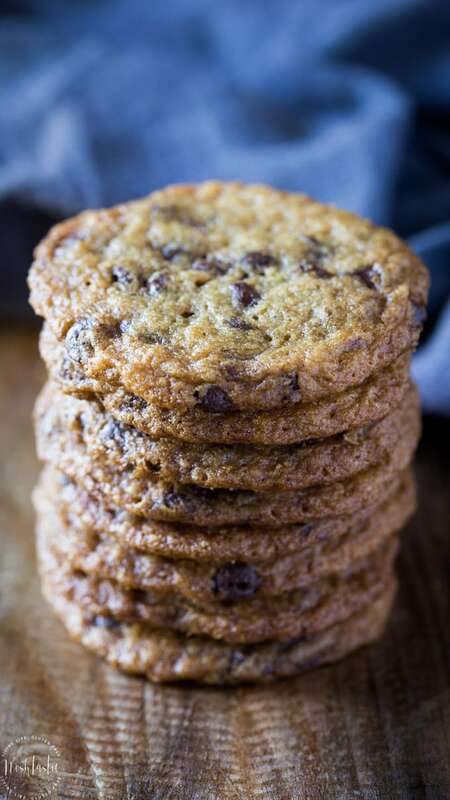 This is the only Gluten Free Chocolate Chip Cookies recipe you’ll ever need, I promise! You’ll never want to go back to store bought gluten free cookies again after you taste these, they are insanely delicious and have just the right amount of ‘crunch’, you’ll love them! 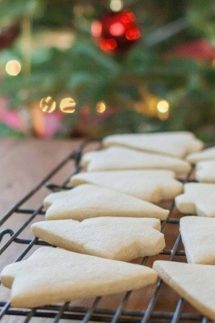 A simple, quick, and tasty gluten free cut out cookies recipe that holds its shape well and is perfect for decorating. Cream together dairy free margarine, or regular butter, and sugar. Add in eggs, vanilla, and almond extracts and mix until combined, remember to scrape down the sides of the bowl. Measure out the dry ingredients into another bowl and mix by hand to combine the gum and baking powder. Add the dry ingredients to the sugar and egg mixture and mix well to combine. If the cookie dough is too soft to roll out at this point, place it in a bag or in a covered bowl in the fridge to allow the margarine to harden enough so that you can roll it out later. When the dough has hardened roll it out on parchment paper, I use cling wrap to cover the top of the dough as I roll it out so that it does not stick to the rolling pin, I don't use extra flour. Bake cookies for 12 - 14 minutes at 350F on a parchment lined baking sheet. Allow to cool on baking sheet, the cookies will firm up once cooled. When they are fully cooled they are ready for decorating. 1. I bake by weight using a digital kitchen scale as I find that gives the most consistent results, especially when baking gluten free, the cup measures are approximate. One cup of your gluten free flour blend may not weigh the same as my flour blend, all the commercially available blends have different mixes and ratios of flour in them. I’ve weighed cups of different blends of flour and noted that a cup of gluten free flour can vary in weight from 125g up to as much as 170g depending on how you scoop it, and what type of mix you use. You can see how this could drastically alter the outcome of a recipe. I have based my cup measures assuming that a cup of gluten free flour would be an average of 130g per cup. I recognise that most Americans are used to the cup method which is why I also include those measurements, but they may not give you accurate results with this recipe. If you are a keen gluten free baker I would encourage you to invest in a digital kitchen scale, they are very easy to use. 2.I prefer to use my own homemade gluten free flour blend as it's cheaper and I get really great results. 3. If you can, avoid buying flour with gums already added. The reason for this is that you have no way of knowing how much gum is in there and that can alter the outcome of the recipe. So for example, too much gum can give you a more sticky texture in a cupcake. And though the cupcake recipe will still work, it won’t be as nice as if you measured and added the gum yourself. Would you be willing to share your GF all purpose flour recipe? Hi Amy, I just checked the recipe and realised that the links to my flour post in the recipe were not working, so sorry about that! I’ve fixed it now and also linked to it in the post. 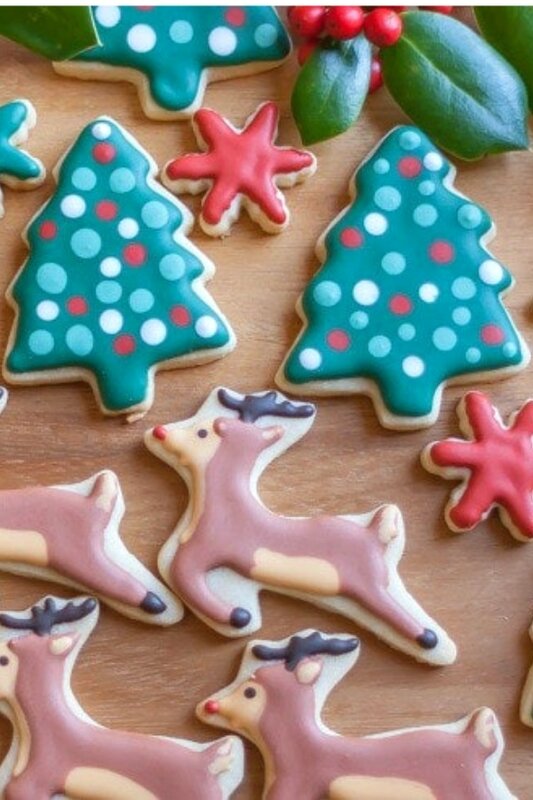 Yesterday I made my first Christmas cookies and simply love them! I will use this recipe forever! Love these cookies, we make them regularly now for my celiac daughter. Nobody can tell they are gluten free. Have you ever tried freezing dough to make a quick pan at another time? Hi Robert, thanks so much for letting me know that you and your daughter enjoy the cookies! Yes, I have frozen the dough and defrosted it without issue later on, it works really well. The cookies also freeze well after they are baked and will last a couple months if they are wrapped well. just this week my son found some from Christmas time lurking in the back of the freezer and they were still good to eat. And you can even freeze them with the icing on too, I always defrost decorated cookies in the bag I freeze them in so that they don’t get condensation on the icing and risk spoiling it. When you say sticks of butter, how many tables are in your sticks? I use a dairy free butter and the sticks are only 8 tablespoons each. Hi Kim, I also use dairy free margarine but I’ve never used it in sticks just from a tub, I typically weigh my ingredients. A standard stick of butter weighs about 113g or 4oz and this recipe needs 175g or margarine or butter so maybe you can compare the weight of your sticks and adjust accordingly? Just tried this recipe with my 2 year old for his birthday! We made animal shapes and he LOVED them! Kept saying yum while eating them! Definitely will be my go-to for Christmas time and Easter!! Hi Carley, Thanks for letting me know your son loved them, that’s great to hear! Made your recipe for my daughter in law. She is just beginning this gluten free journey. The cookies turned out great however I used a purchased gluten free flour and find the texture a bit gritty but the binding consistency was good. I now have purchased the items for your gluten free flour and am eager to try the recipe again using your blend. Hi Gwen, so glad you liked them! The store bought flour blends can vary a lot and rice flour tends to be a little bit grainy by nature anyway. I will say that over the years I just don’t notice any more, it’s my new normal! I hope you have better success with my flour blend. These cookies were perfect! My daughter was diagnosed with celiac when she was 2 (she is 5 now) and I have tried several failed attempts at cut out sugar cookies for her. We use Cup 4 Cup flour and the 3.5 cups worked perfectly. I also refrigerate the cookies after they are cut out for about 20min before baking so that they don’t spread out and loose their shape. Taste was perfect and they aren’t so crumbly that they fall apart while eating them! Thanks for sharing! Hi Cassie, so glad they worked out for you!I used to decorate a lot of cookies for a side hobby (before I started my blog) and I wanted to find a GF recipe that worked just like the gluten ones and would hold its shape and be sturdy enough to handle! Be sure to check out my new gingerbread mug topper cookies that I just posted yesterday, you could use the recipe to make any cookie shape. Hi, lovely recipe, I can’t wait to try it. My daughter as well (as the commenter above) has Celiac & we are overdue to make Christmas cookies. Hopefully we can do it tomorrow! My question is, what kinds of sugars have you used & what tasted best? Granulated Sugar is the obvious choice but we also have to watch processed sugar so I’ve been using coconut (not a fave), honey, stevia, and xylitol. I’d love some sugar advice for this recipe before I get started! Thank you for sharing this. Hi Tanya, I’ll try to answer your question as best I can! So I think you’ll do best with some sort of granulated sugar which means ordinary white sugar, or coconut sugar if you are looking for non refined sugar. If you don’t like the grainy nature of the coconut sugar I would add a big batch of it to your food processor and blitz it to see if you can make it a little finer. I think if you use it for these cookies you probably won’t be able to tell the difference once they are baked, unless you are sensitive to the taste of it and don’t like it of course. Honey is tricky and as it’s a liquid I honestly don’t know how much you would need to sub for regular sugar, or if it would bake well for this recipe. I’ve never baked with stevia, but I know others have had good success with it, so it may be an option. I avoid xylitol as it’s a gut irritant and I don’t seem to do well with things like that since my Celiac diagnosis, but if you’ve baked with it and know how to use it you could try it. I hope this helps you and you have fun making cookies! These were great. The dough was a good consistency, and the cookies were good. I think they would taste a little better with some salt added to the batter . Maybe 1/4 train with the dry ingredients. I think I will try that next time I make these . Thank you for the great recipe ! Hi Tiffany, so glad you liked them! I usually make them dairy free so I use Earth Balance vegan ‘butter’ and it has quite a bit of salt (to my taste) but you could for sure add some more depending on what you use for the butter. my grandson cant have eggs so what would use. Hi Linda, I know that’s hard not being able to have eggs. I’ve only baked without eggs on a few occasions so I’m no expert. You can try one of the egg replacers you can buy in stores, Bob’s red Mill has one and Ener-G is another one. I’m not sure the cookie will bake as hard without the eggs, and the texture may be quite different but it’s worth a try! I’m a bit concerned about the amount of xanthum being used here. Bob’s Red Mill calls for 1/4 tsp per cup of GF Flour. It seems as though 1tsp for 3.5 cups isn’t enough? Can you please explain why so little xanthum gum? Thanks! Hi Mary, in what specific recipe is Bob’s calling for 1/4 tsp per cup? I don’t think that I am using too little xanthan gum, I’ve been making this recipe as a gluten free baker and a cookie decorator for years and have adjusted it to get the correct consistency for a gluten free cut out cookie that holds its shape. In my experience too much xanthan gum can cause a dough or cake batter to be too sticky and that’s not always helpful. Just to say I have tried so many different cookie recipes and they all failed. I came across your recipe and though, well what have I to loose? Well the outcome was AMAZING, I did use a gluten free flour mix of my own, the more I played with the dough the better it became after popping it back in the fridge for 30 minuets when it came too soft, thank you very much, I have now printed it and will use it again and again and again! 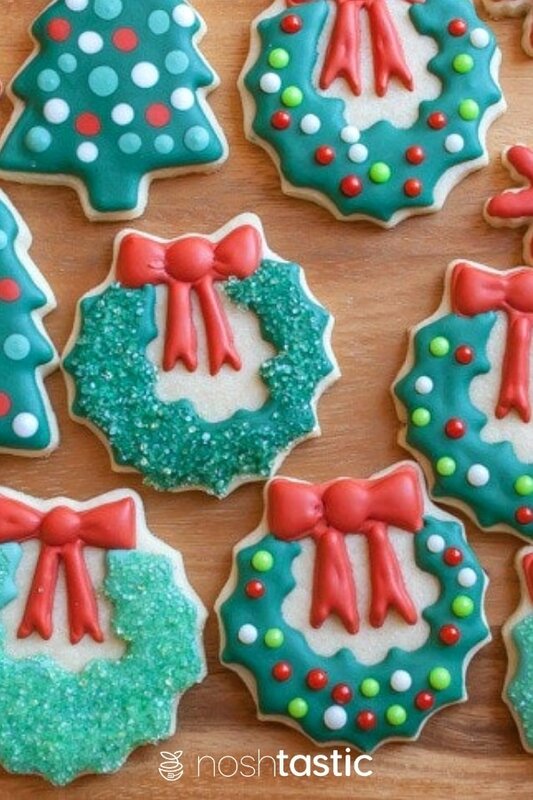 I would love to pop a picture of my cookies. Hi Brook, my son also has a tree nut allergies but not to almonds! So yes, you can omit the almond extract and it will not affect the cookie texture in any way as it’s just for flavor, you could increase the vanilla extract a little if you prefer. Would it be ok to use regular flour? My daughter has a severe dairy allergy so I would use the earth balance butter but only have regular flour at home since that isn’t a sensitive item for her. I wasn’t sure if your recipe was adjusted to accommodate the GF flour some how that regular flour might mess it up. How long should I refrigerate for before baking? Hi Grainne, only until the dough is firm enough to roll out and not soft and sticky, how long that will take will vary depending on how soft it is to start with. If I’m in a hurry I will sometimes put it in the freezer for 15 minutes, but don’t forget it’s in there! If your dough is pretty firm then you may not need to refrigerate it at all, it just depends. Can coconut oil be used instead of butter? Thank you!! I don’t think you could use oil as you have to cream the margarine or butter with sugar, but it might be worth a try. I really wanted to come and say THANK YOU for this recipe! We’d been looking for something like this for ages and everything turned out perfectly. It’s a great recipe which is described very well and having the measurements in grams is perfect. I managed to get about 37 cookies all of different sizes out of it and I just took out the last batch from the oven. They look amazing and smell so delicious. Pretty sure they will taste fantastic! Thank you Thank you Thank you! Hi Suzanne, so glad the cookies turned out well for you and that the grams measurements were helpful. Thank you Stephanie! I’m very proud of this recipe as I created it back when I decorated cookies for a living and it holds up great, and it passes the taste test too! HI Sheena, Found your recipes while searching for pinapple upside down cake. Can you use gluten free flour in yeast breads? I have some nut roll recipes and just wondered if they could be altered. Thank you. Yes, you can use gluten free flours in yeast breads but different blends will produce different results. The easiest thing may be to try one of the ‘cup for cup’ blends like from Bob’s or King Arthur, and see how you go with that. Some of the other ready blended gluten free flours often need a lot of tinkering around with the recipe to make it work.